BayLegal’s Domestic Violence Prevention Project takes a holistic approach to representing survivors from all walks of life. The family law unit’s services are designed to empower survivors with the information and options they need to stop the abuse and build safe, stable lives for themselves and their children. The project offers free legal assistance in obtaining restraining orders, divorces, support orders, safe custody, and visitation orders. Please call 9-1-1 if you are experiencing an emergency. The Legal Advice Line provides free legal advice and referrals in all languages on a range of civil legal issues. 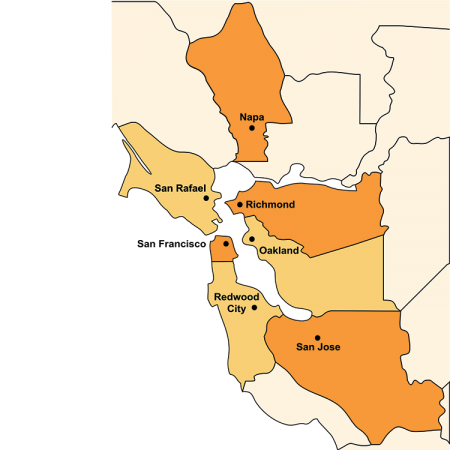 Bay Area Legal Aid hosts weekly Domestic Violence Restraining Order clinics in Daly City, Pittsburg, Redwood City, Richmond, and South San Francisco.